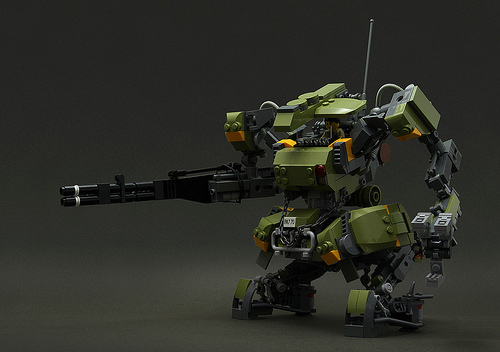 Here’s a mech by legorobo:waka that looks half industrial, half military spec. The left hand reminds me just enough of the loader from Alien, and I love the open cockpit, a rarity in big mechs like this. The chunky stance gives a perfect feel of heavy drop-forged steel armor.